"Beautiful Walking on the Iveragh Peninsula"
Some of my fondest memories from my two years in County Kerry come from all the walks I took along the Kerry Way with my friends and family. 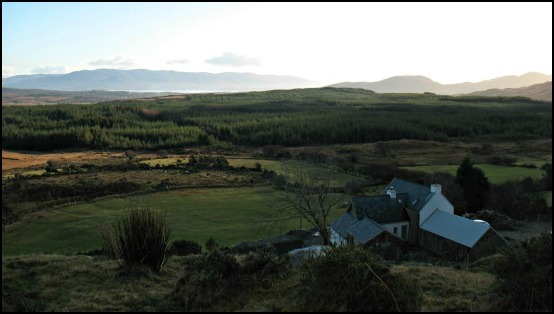 I first arrived in Kerry to help renovate a traditional Kerry cottage that my parents had bought. We had our plans to modernise a beautiful little cottage overlooking Kenmare Bay accepted but since the mortgage money took longer than expected to arrive I had plenty of time on my hands to explore the Iveragh Peninsula. This was way back in 2008, the financial crisis was just beginning to unfold and although the mortgage money did eventually turn up we were lucky to get it… However, that is another story! I’m really glad I took this opportunity to do so much walking in Kerry as once work on the house began there was no time left for exploring. Actually that’s one of those small white lies. 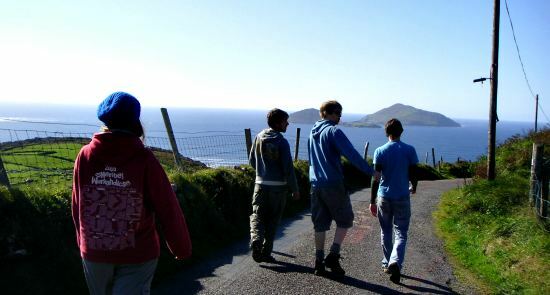 Although we were flat out busy I always made time to go walking in Kerry. I just did my favourite short walks instead of the longer Kerry Way trails. Ireland has fantastic countryside but in many areas it has failed to develop its walking infrastructure. Don’t be put off by this as County Kerry has broken away from the norm with over 200km of marked walking trails on the Iveragh Peninsula alone. Especially when the countryside is this good! The mountains, river and lakes are unspoilt. The paths are used by very few people. 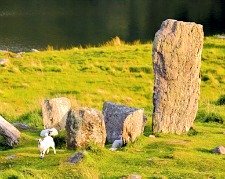 On a short walk up to the two corrie lakes and the waterfall behind our cottage there is even what appears to be a pre-famine settlement. Don’t quote me on this as I am not a historian but you can clearly make out the outline of a very basic stone house. You can even make out where they used to plant their rows of potatoes! Get out and get walking in Kerry you won’t be disappointed! I think anyone looking to walk the Kerry Way whilst on a walking holiday in Ireland is really faced with two options - Option two being my favourite! Book a flight to Kerry Airport - Shannon or Cork Airport if flights direct to Kerry are not possible from your nearest airport. 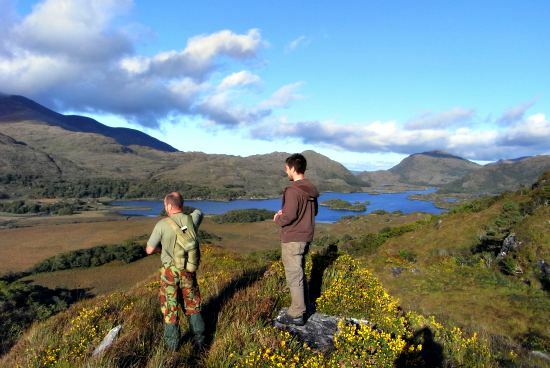 Spend your first night in bed and breakfast or hotel accommodation in Killarney and then just start walking… Simple! There are some good Kerry Way books available on amazon which will tell you all you need to know. But as long as you take good boots, the right Kerry maps, a compass and wet weather gear (this is Ireland remember) you should have a great time. Do remember that although the stage walks skirt around the Kerry mountains (no crazy ascents here) groups of three are best as you will often be in remote areas with little or no phone reception. Check the weather forecast and if in doubt ask the locals – They are very friendly and knowledgeable. 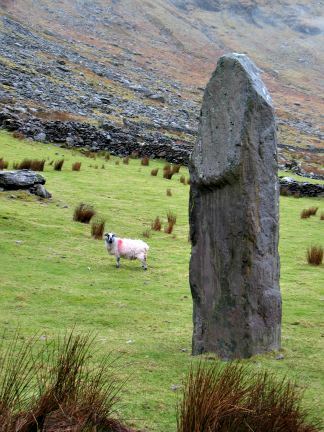 Alternatively join a group of like-minded people by booking onto a guided Kerry walking tour. All bed and breakfast accommodation will be pre-arranged leaving you to enjoy the views and the social side of being with a new group people – There are plenty of great Irish pubs along the way. I’ve created this option from my own experience of walking in Kerry. Hopefully other people share my need for variety whilst on holiday as well as the pleasure of having a home away from home to return back to each night. This option is for people who love the great outdoors but also want to enjoy some down time on their holiday. Perhaps the weather has turned, you’ve had an extra glass of wine the night before or you are just too comfortable with a good book by the fire. If that is the case book a beautiful holiday cottage close to our favourite stages of the Kerry Way, hire a car and come and go as you please. If you are feeling full of energy then walk the Kerry Way or any of the shorter loop walks in Kerry. If you are feeling motivated climb Ireland’s highest mountain Carrantuohill – It’s not that high. Think classic hill walking with beautiful views rather than mountain climbing. 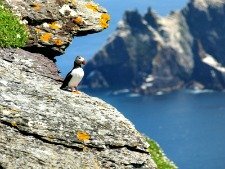 If you are feeling touristy take any one of my top five day trips in Kerry.